With more and more podcasts released every day, it is getting increasingly hard for audiences to find the ones worth listen to. 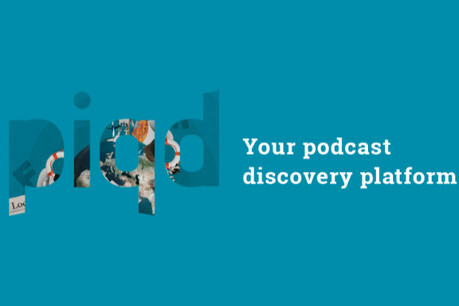 This is why the slow news startup Piqd launched piqd audio, a podcast and audio discovery platform. Every day, their team of curators from more than 20 countries, including in Asian and African regions, comb the internet and find the podcasting gems for you. "We have a problem with diversity, lack of women and female voices," said Malia Politzer, executive editor, Piqd. To address this, about half of the curators team are women. So, how are they choosing the best podcasts? Politzer explained that the curators have a fairly free hand when it comes to picking the best content, given that all of them are closely involved with the podcasting scene in their region or are experts on a chosen topic. The only guidance is that the podcasts and audio documentaries have to be non-fiction, relevant to the current news cycle, and can be understood by wider audiences, which means avoiding a very niche content. "We have different channels, such as environment, journalism or tech, which helps limit how people find their podcasts," said Politzer. Once a week, the curators pick the top podcasts and audio documentaries, and accompany their recommendations with a short review that summarises the episode and explains why listeners should give it a go. "Most people have a podcast app that they browse every day but they often only find highly rated podcasts that everyone knows already, such as Serial, The American Life etc.," said Politzer. "There are many website for news curation but very little is done for podcast discovery." The platform was launched last week and it has already seen a 50 per cent increase in website traffic, as well as an uptick in the number of subscribers. Members receive a podcast recommendation newsletter every morning to save them time looking for something to listen to on their daily commute. They can also comment and upvote or downvote the recommendation to help other listeners to choose the best podcast. Take a look at our hand-picked journalism news podcasts that you should be listening to.